Yesterday, we were at the University of Gloucestershire Placement Fair. We spoke to many students that are either looking for an Undergraduate Placement opportunity or a full-time role after graduation. 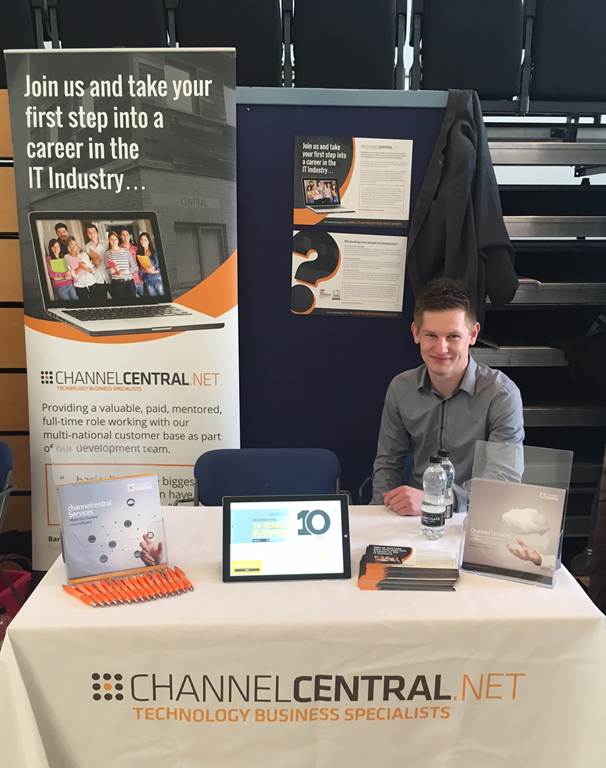 channelcentral has been working with the University of Gloucestershire for 3 years and we have had much success with our Undergraduate Placement Scheme. Our students have worked on development projects for multi-national organisations and have brought great value to the business with their talent and enthusiasm. In return, we firmly believe in giving our students the best start; with excellent rates of pay and benefits, a varied role with lots of opportunities to learn and a friendly, experienced team of professionals to work with. As we look to recruit the next wave of Placement Students into our business, we are proud to have a permanent member of staff who came back to us after the Undergraduate Placement scheme. With all of our students, we not only want to give them the best start in the IT Industry, but we want them to spend their careers with us! Visit our careers page to learn more about our partnership with the University of Gloucestershire and hear from past students.